Fritzing Fhursday: Alligator clips make spiffy Fritzing diagrams! « Adafruit Industries – Makers, hackers, artists, designers and engineers! Fritzing Fhursday: Alligator clips make spiffy Fritzing diagrams! Here be gators! Rawr! We’ve added a set of alligator clips to our Fritzing collection on GitHub (in the “AdaGators.fzbz” file). For true-to-life diagrams, the six colors and the clip size match our #1008 Small Alligator Lead Test Clips (and also used in some of our Flora and Gemma starter packs). 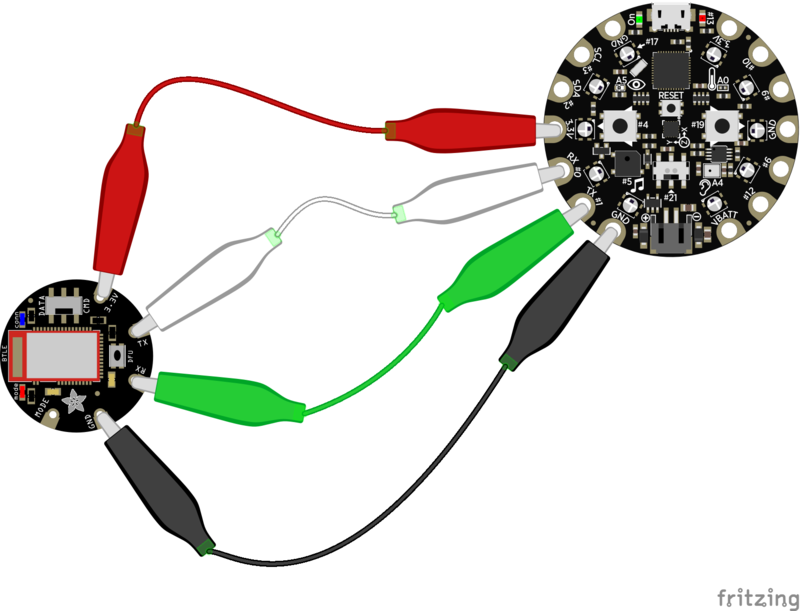 Comments Off on Fritzing Fhursday: Alligator clips make spiffy Fritzing diagrams!